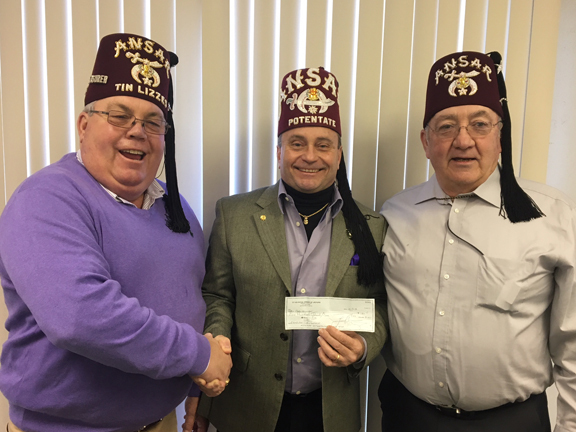 RASNA Shrine Club’s 2017 donations to Shriners Hospital in St Louis. Our club donated in excess of $25000 this year made from the Bar to Bar golf, Garner BBQ Beef Raffle and Gun Raffle. Many donations were made from various individuals. Names from left to right Jon Freeman, president, Gerry Williams, 2017 Potentate, and David Mansfield, vice president. Any questions call.